They have always been lovingly known as "Paw-Paw" and "Granny" - even our customers know them that way. Paw-Paw retired first..... about 15 years ago, Granny retired about 5 years ago. 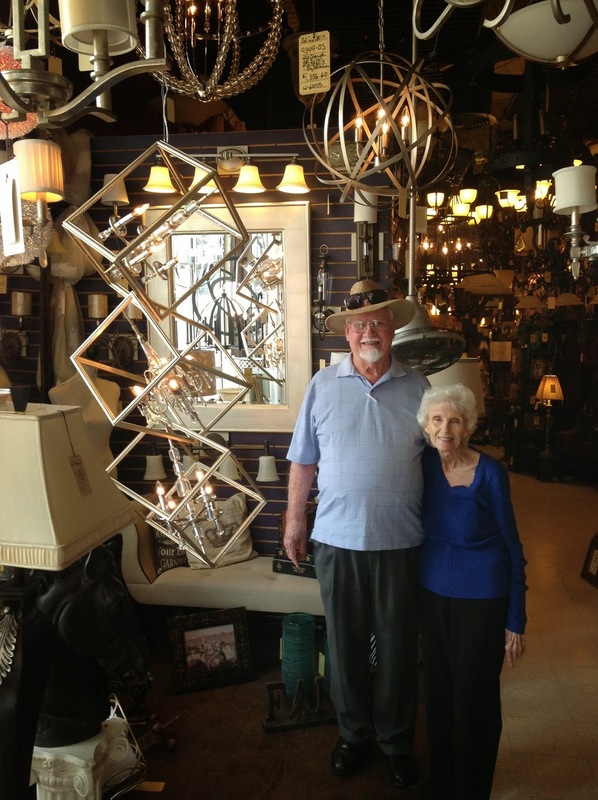 Although retired - they loved to stop by the showroom and see what we were doing :) What new product we had bought and how we were displaying it. He loved reading it every time I would publish one. He would tell me how great it was. I don't know if anyone else ever even read it, but I know he did. :) And he always told me to write more........ Beginning today - I will. Paw-Paw passed away this morning. And now, in honor of him I write this post. He was a man of few words, but when he said them they had immense meaning. He was a man of incredible character that shaped and molded this business. He was a man of strong love that will always be with each of us. Thank you Paw-Paw for always being you. Heaven is shining brighter today. We are Blessed to have so many wonderful customers and industry friends Praying for our family. We are Thankful for each and every person who stops by the Lighting Etc. Showroom. Each of you are a thread that creates the tapestry of our family business. The Prayers and God's Grace has truly carried us through this time.